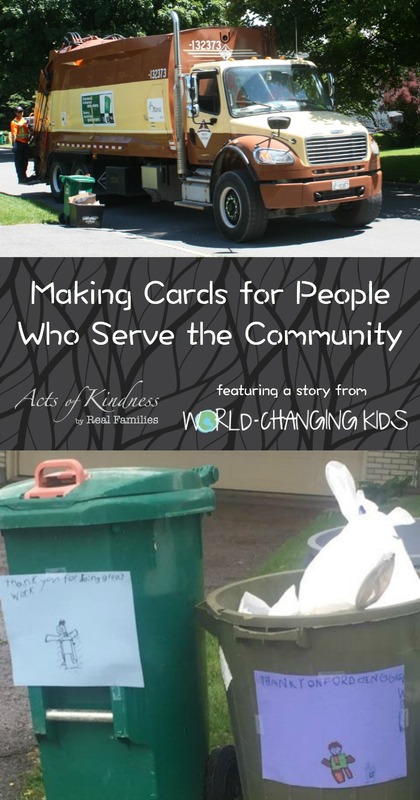 This week I am honoured to have Lindsey Barr from World-Changing Kids sharing her family’s Kindness Cards for community helpers, specifically the waste collection operator in their neighbourhood. What happened: We made Kindness Cards for our Waste Collection Operators that said: “Thank you for doing great work.” We taped these to our garbage bins for our Waste Collection Operators to collect. The week before we did this, I happened to be home when the garbage truck went by, so I ran out to explain to the Waste Collection Operators that we were going to do this and asked them to keep their eyes open for the cards. I climbed right into the cab of the truck to talk to the driver. We introduced ourselves and shook hands. I learned that his name is Douglas. I asked Douglas if I could take his picture and include it in this post and he said yes – he was really excited about these cards. 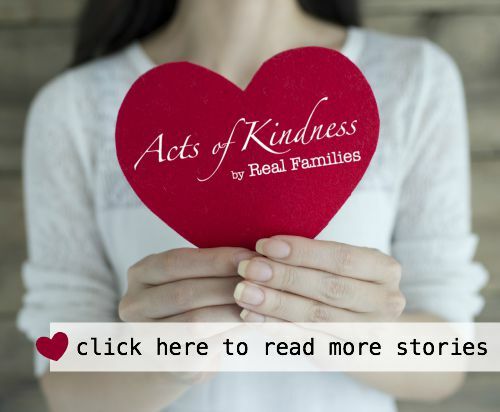 How the experience affected your family: We love to make Kindness Cards – once you start, you begin to see so many other people who you can make them for. We have recently made one for the landscaping crew who was working on our neighbour’s driveway, for our crossing guard, and for a construction worker who was working on our road and stopped to let our neighbour’s know that their dog had gotten out. Always being on the lookout for reasons to make Kindness Cards with your kids really makes you slow down and take notice of the people in your community. It makes you aware of who needs help and who is helping, and allows you to find more chances to perform acts of kindness. Message to others: Anyone can make a Kindness Card. All it takes is a piece of paper and some markers or crayons. And everyone loves to receive Kindness Cards. I was actually overwhelmed by how excited Douglas was about receiving these cards. It really does remind you that no act of kindness is too small and every child has the power to make a difference. 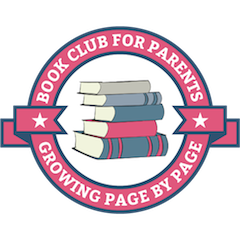 Lindsey Barr is the Founder of World-Changing Kids (WCK), a community of friends where everyone is invited to create, inspire, teach, learn and support one another; a community where everyone feels loved, included and safe. WCK’s mission is to bring people together to work on amazing projects that will make the world a better place. The ultimate goal is to raise as many children as possible within this beautiful community and then set them loose to see how they will change the world. 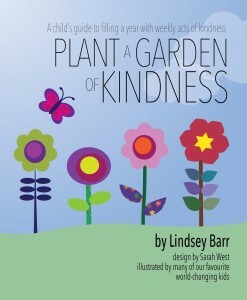 Lindsey’s book Plant a Garden of Kindness, A Child’s Guide to Filling a Year with Weekly Acts of Kindness helps children build empathy and shows them that by completing acts of kindness for others, they will make themselves feel happier. It allows children to build deep connections with other families in their neighbourhood, which will result in an increased sense of security and self-confidence for everyone. 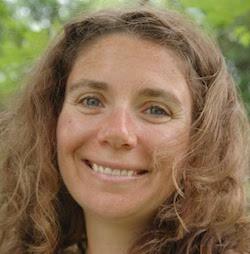 Stay tuned to WCK’s website and Facebook page, as Lindsey and the amazing WCK community are working on a number of exciting projects and ideas that you will want to be a part of!